Terry Mumford retired from the practice of law at the end of 2014. 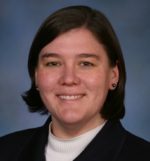 Her legal career included work at the Indiana University Counsel’s office, the Indiana Legislative Services Agency, Governor O’Bannon’s office, and Ice Miller LLP. She received the Sagamore of the Wabash for her service to Governor O’Bannon as his legislative director. She has been a member of Impact 100 for 11 years. Karen is a senior level executive with over 15 years of experience providing strategic, financial, and operational leadership in corporate and municipal government settings. She currently oversees the day-to-day operations of the Marion County Public Health Department in Indianapolis, Indiana. 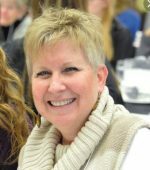 As a member of Impact 100 Greater Indianapolis, Karen has a passion for membership and has held multiple positions in that area, including Membership Chair. She served as President of Impact 100 of Greater Indianapolis from 2013-15 and is currently serving as the Vice-President and Membership Chair. She has also been a member of the Women’s Collective Giving Grantmakers Network (WCGN) Membership Committee since 2016 and currently serves on the Board of Directors. Karen’s other community involvement includes being a member of the Presidents Roundtable of Indianapolis as well as a troop leader in Girl Scouts of Central Indiana since 2011. She has also been the treasurer of the Indiana Minority Health Coalition and a member of NFL Fitness and Football Committee for the 2012 Super Bowl. Karen has an MBA from the Kelley School of Business, Indiana University, Bloomington, IN and a BS in electrical engineering from GMI Engineering and Management Institute in Flint, MI. Kristin is currently serving as Secretary on Impact 100’s Board of Directors. She also works as the Manager of Communications and Grants Administration for Eskenazi Health Foundation. 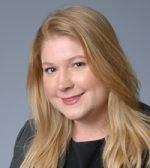 Prior to that position, Kristin worked as a Grant Writer and Strategy Analyst for Health and Hospital Corporation of Marion County, was a Founding Partner in an education consulting firm, and a Project Manager and Trainer for the state’s education agency. Kristin received her Bachelor of Science degree from Emory University and her Masters of Public Health degree from Drexel University. She is currently pursuing a Doctor of Public Health (DrPH) degree. Kelly joined the Board in 2014, and has served as Treasurer since 2015. She is a tax manager at Watermark CPA Group with over 15 years’ experience in business and individual tax preparation and consulting. She received her BS and MS from the Kelley School of Business in Indianapolis. Kelly’s other community involvement includes being a facilitator at Brooke’s Place, an organization devoted to providing support to children and young adults after losing a loved one. She loves Impact 100 for its ability to bring smart and successful women together, not only build relationships and bring change, but to educate women on the people and organizations in the Indianapolis-area that are working hard to make a difference in the lives of others. Maureen is a curatorial associate at iMOCA. Her particular interests include arts, family support, education, and filling the basic needs of Indianapolis youth. She is also an artist and yoga teacher. Elizabeth "LIzzie" Conkle is an Assistant Director of Development at the IU Melvin and Bren Simon Cancer Center. She received her BA and JD from IU. She is currently serving on the Board of the IU Alumni Association of Central Indiana Chapter. Lizzie is a former Scholarship Member of Impact 100. Laura has been a member of Impact 100 since 2011. She joined the Board in 2015 and served three years as an FAC chair. In 2018 she became one of the Grants Co-Chair, serving as the Focus Area Committee (FAC) Lisasion. She feels it is a privilege to be involved in Impact 100’s commitment to bringing women together to fund the best possible community outreach. She has a BA in Communication and an MA in Speech and Language Pathology from The Ohio State University. 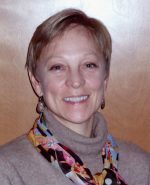 Specializing in rehabilitation of traumatic brain injury and stroke, Laura has worked in hospitals, extended care facilities and home care. Laura has taught preschool and has served on the Indiana Council of Preschool Cooperatives. A lifelong volunteer, her involvement spans community, educational and health care and ranges from tutoring to event planning, and she is a member of 100 Voices of Hope (IU Foundation) and The Ohio State University Women & Philanthropy. For fun, Laura enjoys ballroom dancing with her husband, attending sporting events, traveling, and visiting her two sons, daughter and their spouses. A graduate of the Lilly Family School of Philanthropy and the School of Public and Environmental Affairs, Roberta Jaggers holds a Master of Arts degree in Philanthropic Studies and a Master of Public Affairs degree with a concentration in nonprofit management. 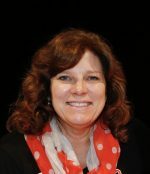 In her role as President of the Indianapolis-Marion County Library Foundation, Roberta solicits and stewards gifts from a wide range of individual, foundation and corporate donors and works closely with the Foundation’s Board of Directors. She has been with the Library Foundation in various capacities since 2002. Paula Katz holds a BA in Art History from Tulane University, a MPhil in Modern and Contemporary Art and Design from the University of Glasgow and a MBA and Certificate in Social Entrepreneurship from the Kelley School of Business, Indiana University. She is a board member of the Indianapolis Museum of Contemporary Art (iMOCA), where she previously served as the executive director. Prior to that she worked as the director and curator of the Herron Galleries at the Herron School of Art and Design. She currently works as studio manager to artist Samuel Levi Jones. 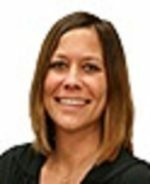 Melina is a General Manager at Cummins. She received her BA, MSES, and JD degrees from IU. 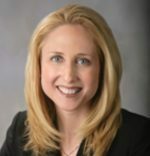 She currently serves on the board of the Indiana Conference for Women, the Indianapolis Power and Light Advisory Board, and the Capital Improvements Board. She is a returning Board member. 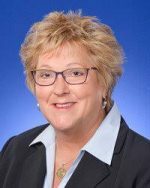 Debi Ladyman is recently retired after serving as the national industry partner for BKD National Not-for-Profit, Higher Education and Government Groups. 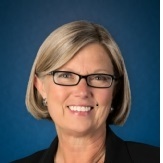 She has over 40 years of experience in serving not-for-profit organizations assisting them with identifying best practices, benchmarking, budgeting and financial reporting, governance issues, operational reviews, risk assessment, internal controls, strategic planning, mergers and formation of not-for-profit entities and for-profit subsidiaries. 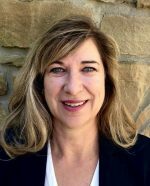 Debi also serves on the boards of Damar Services, Inc. and The Villages of Indiana, Inc. She is also a member of the Indiana University Kelley School of Business Dean’s Council and a member of the Board of Visitors for Marian University’s School of Business. Barb is an active philanthropist in Indianapolis, and was one of the founding members of Impact 100, serving on the first Impact 100 Board of Directors as secretary/treasurer. She has returned to the Board to bring her experience and enthusiasm to us as we work to achieve our goals. Megan McGuire is the CEO of Ascent 121, a local agency providing long term recovery services for teen survivors of human trafficking in Indiana. Her agency was an Impact 100 grant winner in 2016. Prior to her work with Ascent 121, Megan had a twenty-year corporate career with Herff Jones. She has an MBA from Indiana Wesleyan and a certification in combatting human trafficking from Ohio State University. Donna Oklak, co-founded Impact 100 in Indianapolis in 2006 after returning to graduate school to earn her M.A. in Philanthropic Studies at Indiana University Lilly Family School of Philanthropy-Indianapolis. She served as the Executive Director of the Sycamore Foundation and managed their former nonprofit recognition program called the Indiana Achievement Awards from 2000 through 2005. As a board member for Impact, she set up the original grant process, served as president, led the board nominating committee, marketing and fundraising committees. She has been recognized by the Indianapolis Business Journal, Girls, Inc and the Beech Grove Sisters of St. Benedict for her charitable work. On the 10th anniversary celebration of Impact 100 in 2016, she encouraged founding members of our giving circle to create an Impact 100 scholarship program for young women to participate as Impact 100 members. She is creating a similar program for young talent to serve on local nonprofit boards through The Emily Fund. 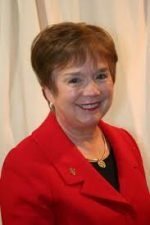 Pat Ritz is retired after working in public relations, communications, marketing management. and adult education. The skills she learned in these endeavors, and her many other volunteer activities, have been crucial as she helped make our 2017 and 2018 Annual Awards Celebrations successful. Her special interests include writing and graphic design, decorative arts, program and event planning, volunteering, Door County Wisconsin and golden retrievers. Julianne received her BS in Public Health with a Health Care Administration concentration from IU. She enjoyed 17 years as a licensed Health Care Administrator, specializing in starts-ups and expansions. She has served on the Board of the Indiana Homes and Services for Aging and has volunteered as an advocate for Outreach, Inc., and homeless you (Outreach was the 2009 Impact 100 Change-Maker). Julianne owns Nicky Blaine’s Cocktail Lounge with her husband. 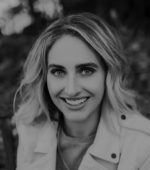 Jenna Spurrier has been a licensed investment advisor representative since 2000 and was one of the founding members of Impact 100 in Indianapolis in 2005. She has worked in the financial industry since graduating from Indiana State University in 1997. She is fluent in Spanish and a member of the American Translators Association. She has a passion for improving retirement plans, working with the Spanish-speaking community, and developing customized financial strategies for women. Jenna is a Financial Advisor and Chartered Retirement Plan Specialist with Thurston Springer, Miller, Herd & Titak. Donna is the Development Director for Damar Services Inc. 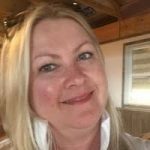 Her degree from Indiana Wesleyan University is in business administration, She has previously served on the boards of Mooresville Kiwanis, and Stopover, Inc. Donna is an experienced event coordinator. 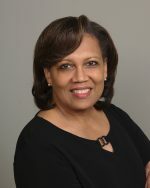 Beth Thomas retired from Eli Lilly and Company, where she was a quality analyst on the Corporate Computer Systems Quality Assurance team. Always active as a community volunteer for organizations such as the Heartland Film Festival, her main focus was on adult literacy. She served on the Indy Reads Board of Directors for 12 years, two terms as President. She is the recipient of a Jefferson Award and a Governor’s Voluntary Action Award for her work in adult literacy. She joined Impact 100 after Indy Reads won the 2007 grant, and she just knew she had to be a part of a group that could work those kinds of miracles. Larissa is the Development and Marketing Coordinator at Brooke's Place. 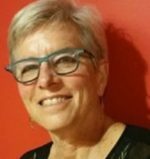 She accepted the Brooke's Place position after serving 15 years as a volunteer facilitator, board member and board chair, and serving on various programmatic and fundraising committees. At Impact 100, Larissa has served as a Focus Area Chair for 3 years. She had a fulfilling career as a Registered Nurse for 26 years and obtained her BSN from Ball State University in 1991. In her free time, she enjoys reading, traveling, going to Purdue football games and spending time with her family. Larissa, husband Eric, and two children, Jordan and Sandra, live in Noblesville. Mrs. Charlitta Winston is truly committed to making a difference. She is active in several philanthropic and civic activities designed to make Indianapolis and Marion County a better place to call home. In the private sector, she served as Director of Supplier Diversity for Scientific Games (the management firm for 38 state lotteries). 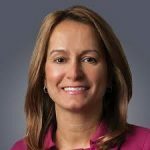 In the private sector she was the Supplier Diversity Manager for WellPoint (during her tenure there WellPoint ranked in the Top 50 companies and the firm was recognized by Diversity, Inc.). In the not-for-profit community, Charlitta was the Capital Campaign Manager for Girl Scouts of Central Indiana to raise the funds to build the $7.2M Girl Scout Leadership and Learning Center and is currently a Philanthropy Officer at Newfields (formerly the Indianapolis Museum of Art). She is a board member of the Indiana Landmarks and the Indiana Historical Society, an officer of the Circle City Chapter of the Links, Incorporated, and a Life Member of the NAACP. Roberta is a Pharmacist and Clinical Content Specialist for Wolters Kluwer. She received her BS in Pharmacy from Purdue, her MS in Health Education from Whitworth University, and her Post-Master's Certification in Health Informatics from the University of Illinois-Chicago. She volunteers with Horizon House (Impact 100 2008 Change-Maker) and Come-To-Me Food Pantry (Fishers). 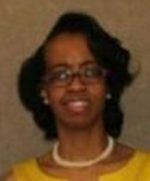 She is a mentor with the Purdue Polytechnic HS and is working on the Central Planning Committee for the Purdue Women's Leadership Series. Big Thanks to These Donors!